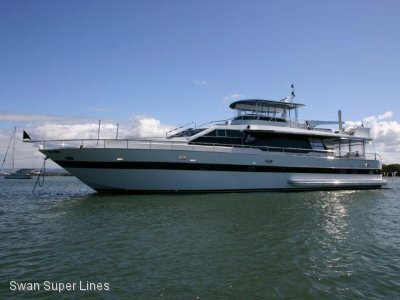 A long range, twin screw - direct shaft drives, planning hull, fly bridge motor yacht with accommodation for 9 guests plus 3 crew. 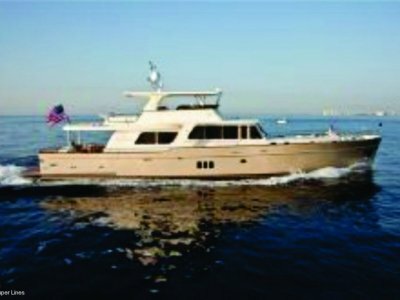 Built to Bureau Veritas classification society rules, and has a continuous weather deck and four wáter tight bulkheads. 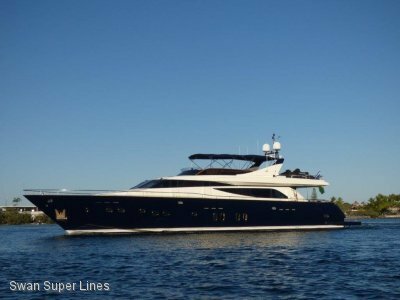 Hull is a mono- coque design in GRP with a single skin bottom and cored top sides. 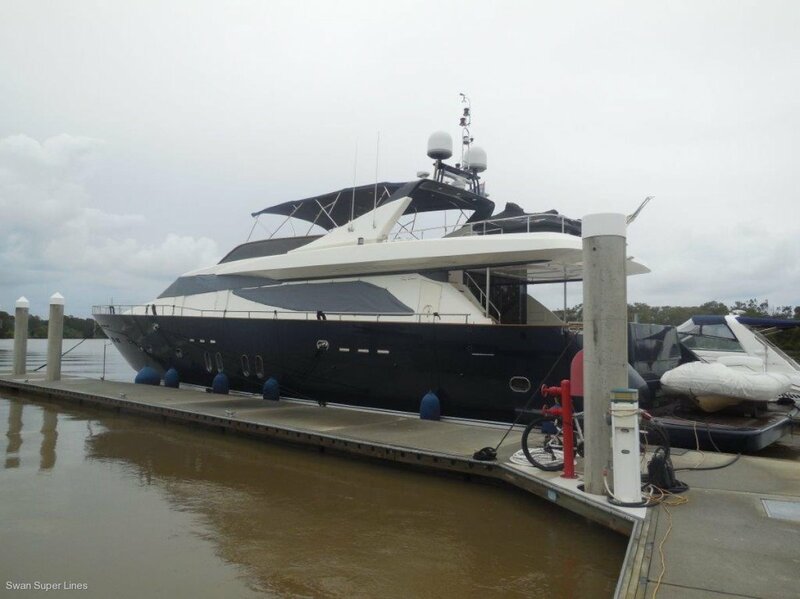 The vessel has a large salón accesible from aft sliding glass doors. Forward to port of the salon is the galley mid ship, further forward a day head and Wheel house. The salon has a lounge area, bar with a formal dining área for eight. Stairway in the salon leads down to the guest accommodation comprising of four ensuite cabins. 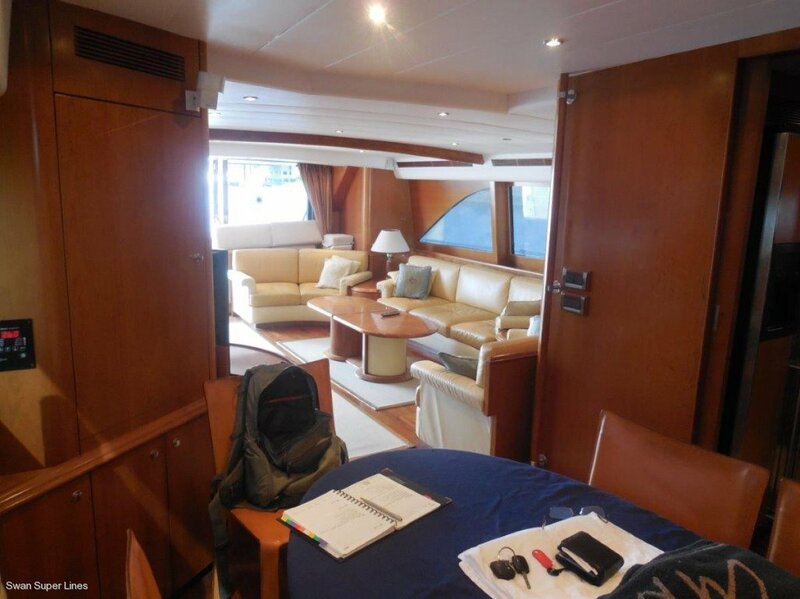 Crew cabins are fore and aft with accommodation for three crew. The upper deck has a teak stairway aft plus an internal stairway from the wheel house. 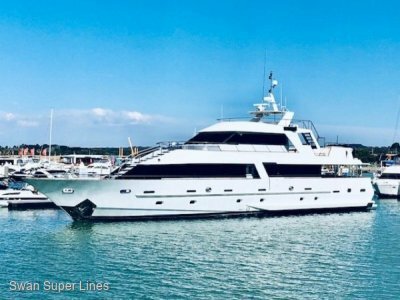 On the flybridge lounge/ sundeck seating plus a dining area, fridge, bar, and bar-b-que, jet ski storage with davit crane to starboard, added this year a new extended canopy over helm and flybridge lounge área.